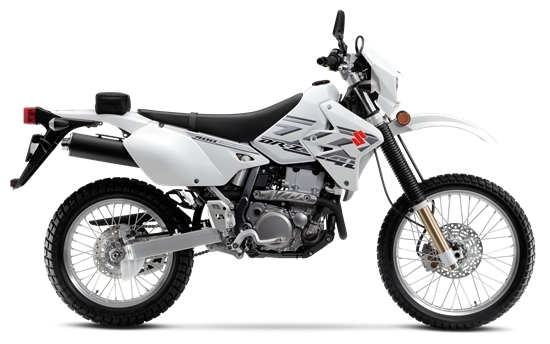 The 2018 DR-Z400S is ideal for taking a ride down your favorite off-road trail or ribbon of asphalt. You’ll be impressed with the amount of torque coming from the 398cc liquid-cooled power plant as well as the crisp handling from the adjustable suspension. This ultra-reliable bike is completely street legal with an electric start and easy-to-read instrument cluster. New solid white bodywork with bold, contrasting gun-metal graphics makes the bike stand out on the road, on the trail, or even parked. Whether you’re on the highway or on a twisty forest path, the Suzuki DR-Z400S can’t be beat.